Britain is considering offering poisoned Russian ex-spy Sergei Skripal and his daughter Yulia new identities and a fresh life in the United States in an attempt to protect them from further murder attempts, the Sunday Times newspaper reported. It said officials at the MI6 intelligence agency have had discussions with their counterparts in the CIA about resettling the victims poisoned last month in the English city of Salisbury. They will be offered new identities," it quoted an unidentified source as saying. "The obvious place to resettle them is America because they're less likely to be killed there and it's easier to protect them there under a new identity," it quoted what it called an intelligence source familiar with the negotiations as saying. Relations between Russia and Britain have plunged to their lowest in decades since the pair were found slumped unconscious on a bench in Salisbury on March 4. Yulia, a Russian citizen, had arrived in Britain only the day before to visit her father, who has been living in Britain for some seven years. 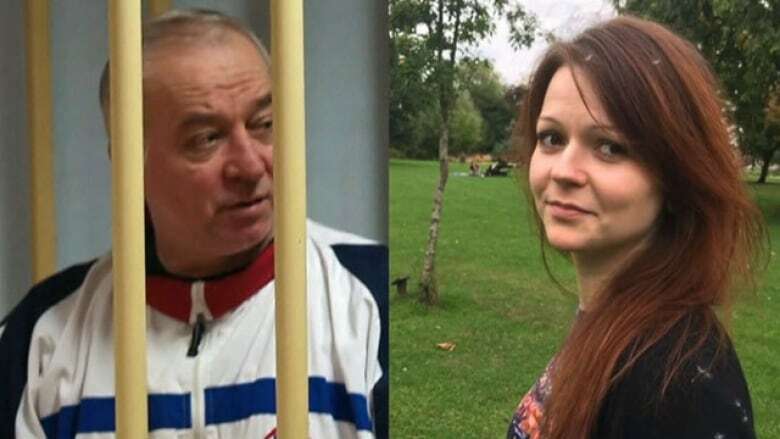 Both were found by Britain to be suffering from the effects of poisoning by a nerve agent but they are now recovering in hospital. Britain blamed Russia for the poisoning, calling it attempted murder, and asked Moscow to explain what happened but Russia denies any involvement and has suggested Britain itself carried out the attack to stoke anti-Russian hysteria.